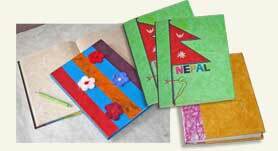 Welcome to the wonderful world of traditional Lokta Handmade paper & paper products, a gift from Himalayan Kingdom of Nepal. DANGOL PAPER CRAFT brings you the world's best in Lokta Handmade Paper and products, handmade paper creations and handmade paper crafts. 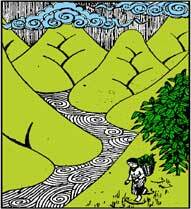 Lokta can be found in the eastern Nepal from which this paper is made and it is one of the models of ancient handicrafts. This plant can be found from 3500 to 4000 meters altitude. 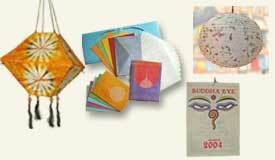 We are able to provide thick, thin or colored genuine rice paper as desired. This paper has high inherent natural resistance to insects, so it can be saved for a long period. Our handmade paper products are a pleasure to use. We have a large verity of gift box, jewelry box, address book, Notebook & Journals, photo album, photo frames, pen stand, paper shopping bags, A4 paper sheet, office stationery, lamp shade, calendars, stationery sets, gift wrapping paper sheets, greetings cards etc. These all items are available in all colors, sizes and designs. These are totally natural and eco-friendly/environment friendly, our handmade paper and products can be customized in terms of color, quality, size and design. All these products are made by expert hands without compromising on the quality. We are manufactures and exporter of quality Handmade paper sheets, Handmade paper bags, Handmade Gift wrapping papers, Handmade Notebooks & journals, Calendars, Photo Albums, Stationery set, handmade paper Gift Boxes and Photo frames. All our products are guaranteed eco-friendly, environment-friendly, handcrafted, acid free, handmade papers and handmade paper products. Buy from our wide range of handmade papers include a wide variety of Natural lokta paper, Floral paper, Chemical color dyed paper, Veg. 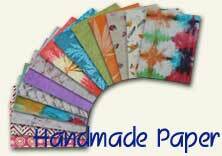 color dyed paper, Tie dye paper, Screen & block printed paper, Embroidery paper, Wrinkles paper, Recycled paper etc. Handmade Lokta paper and products have a natural and unique beauty. 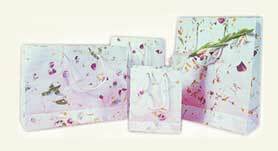 They are used for verius purposes as highly valued gift items, exclusive gift stationeries and quality packaging materials.